<<11th October, 2018 – Hong Kong>> Infinitely complex, Dom Pérignon is a distinctive experience in and of itself. The unparalleled pairing between Dom Pérignon P2 2000 and caviar – the noble ingredient of choice by Richard Geoffroy, Chef de Cave & Creator of Dom Pérignon vintages, unveils a gastronomic journey of savoir-faire and unparalleled quality, pairing a fine wine with ultimate gastronomy in iconic settings. With coherence as its key characteristic, the expressions of Dom Pérignon P2 2000 are best experienced alongside noble ingredient pairings such as caviar. 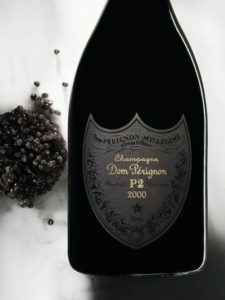 The mineral asset of Dom Pérignon’s aromatic signature is unique. Its smoky grey accents are similar to those of caviar, eliciting a mineral, briny freshness that is one of the legendary features of Dom Pérignon. Initially released in 2008, the First Plénitude of the 2000 Vintage set the scene for a prodigious decade of exuberant, bold and generous wines. With extended period of active maturation and over 16 years of elaboration in the silence of the cellars, the Second Plénitude of Dom Pérignon offers intensity, vibrancy and precision. It has grown into a wine that is more complex and intriguing. 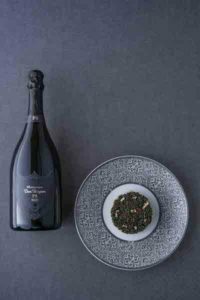 Dom Pérignon has partnered with 3 award-winning restaurants in Hong Kong to present an exclusive Dom Pérignon P2 2000 X Caviar tasting experience. 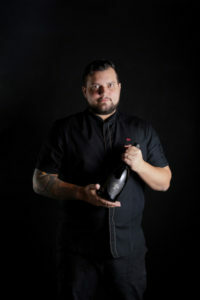 Chef Agustin Balbi of innovative Japanese cuisine, HAKU Hong Kong has crafted an 8-course seasonal tasting menu with dishes that pair harmoniously with the minerality and coherence of Dom Pérignon P2 2000. 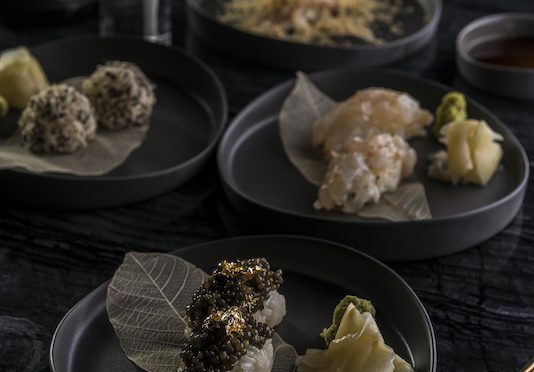 His famous signature tartare of chutoro and Polmard beef topped with caviar is a natural pairing for the crisp vintage, as well as new additions such as Koshihikari rice with Japanese egg yolk and caviar. 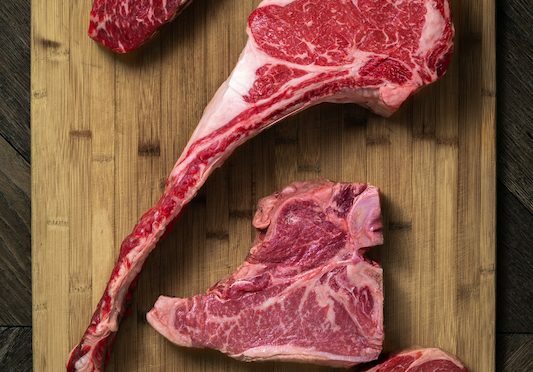 Chef Atsushi Takahashi, protégé of legendary Japanese chef Hideaki Matsuo of 3-Michelin-starred Kashiwaya Osaka, heads up 2-Michelin starred Kashiwaya Hong Kong as the Executive Chef. He has prepared a special 11-course Kaiseki menu with Caviar pairing, using only the best seasonal ingredients from Japan. Chef Philippe Orrico, a highly noted chef and owner of leading French Michelin-starred restaurant ON Dining, will indulge tasters with beautifully executed pairings that display his flair for innovation and highlight Dom Pérignon’s rich complexity. A French chef trained in his native country, Orrico has garnered valuable experience while working at Michelin-starred restaurants such as Chantecler in Nice’s Negresco Hotel. On the nose, the warm aromas of hay and brioche mingle with bergamot orange and russet stone fruit, exuding a ripe and lively bouquet. On the palate, a tactile complexity that gives way to an understated viscosity. The finish is exquisitely bitter, abounding with sap, liquorice and toasted malt. 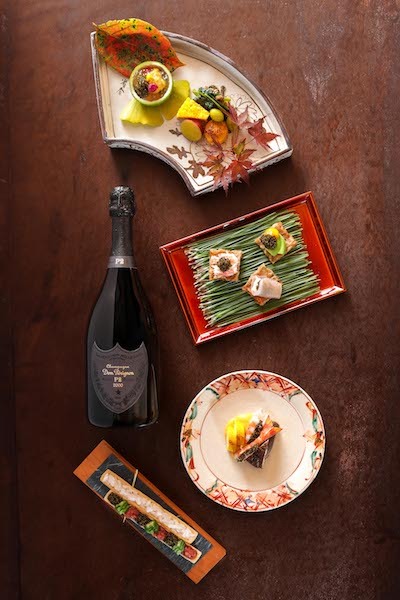 Follow Dom Pérignon’s collaboration with Hong Kong’s top chefs and restaurants. 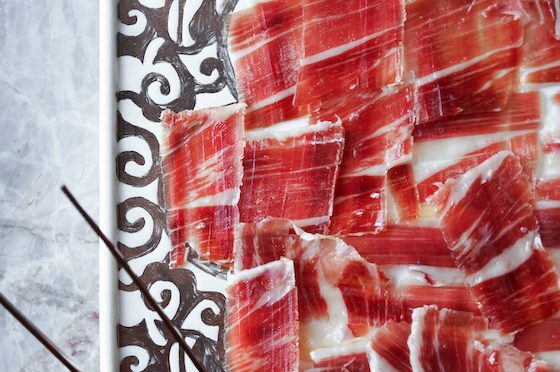 Share a glass with fellow connoisseurs, and toast to one of the most unique tasting experience the city has yet seen. Dom Pérignon’s creation is centered upon its absolute dedication to vintage wines. Each Vintage wine is created from the best grapes grown in one single year – a true challenge for a unique interpretation of the seasons, and for reinvention. The uniqueness of Dom Pérignon vintages lies in the way they evolve – not steadily and in a linear way but through successive windows of expression that are called “Plénitudes”. Reaching new heights and revealing the spirit of Dom Pérignon even more distinctly, it is only at these times that the wine is worthy of a new release. From one Plénitude to the next, the power of creation of Richard Geoffroy, Chef de Cave & Creator of Dom Pérignon vintages, is inscribed into the memory of the wine.